Four of my poems are now on VerseWrights, a wonderful site run by Carl Sharpe. I highly recommend taking a wander through the poet index. My review of Julianne Buchsbaum’s new collection is on drfulminare.com. I’m very pleased that my poem ‘In the Floating World’ is on the Toe Good Poetry site. I would highly recommend looking through their archive as they’ve published at lot of wonderful poems. Toe Good are crowdfunding to become a book publisher, with a particular focus on publishing works by ‘Native Americans, Minorities, and Literary Outcasts.’ Their Indiegogo campaign page is here. My poem ‘Genius Loci’ will be published in the Winter 2012 edition of Poetry Review, edited by Bernardine Evaristo, which will be available from the 14th of December 2012. Other poets in this issue include: Jacqueline Saphra, Jemma Borg, Valerie Laws, Warsan Shire, Roger Robinson, Katrina Naomi, Dorothea Smartt, Steve Tasane, Sophie Mayer, Jay Bernard, Roger Robinson, Kayo Chingonyi, Anthony Joseph, Nick Makoha, Jocelyn Page, Caroline Smith, Mir Mahfuz Ali, Hannah Lowe,Yemisi Blake, Nicholas Laughlin, Dzifa Benson, Sophie Clarke, Pascale Petit,Cherry Smyth, Nii Ayikwei Parkes, Kwame Dawes, Saradha Soobrayen, Michael Horovitz, Karen McCarthy Woolf, Alison Brackenbury, David Morley, Rob A. Mackenzie, and Sarah Wardle. My review of Novey’s collection is on http://www.drfulminare.com (link here). I’ll be reviewing a new collection by an American poet every month. Next up will be The Apothecary’s Heir by Julianne Buschbaum. My conversation with Chicago-based poet and gardener Dave Snyder is up on my other blog, The Chain Letters. 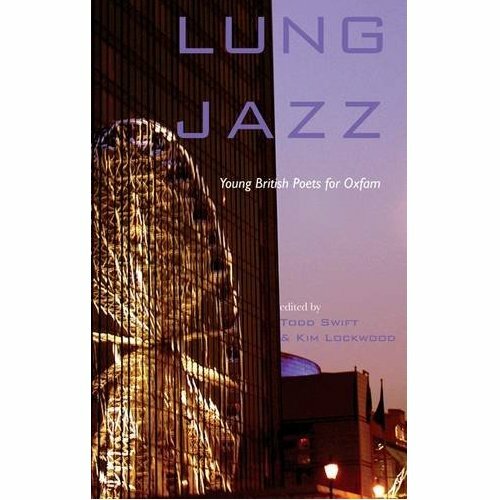 My poem ‘Dear Ludovic’ is included in this anthology, from Cinnamon Press, of young British poets. The profit from sales will go to the charity Oxfam.